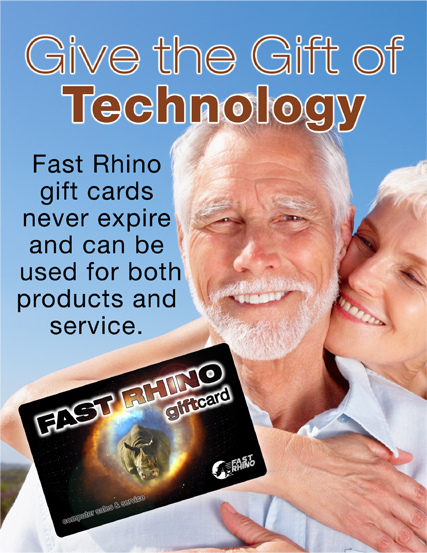 Fast Rhino Gift Cards are here! Your loved ones deserve the gift of technology! Our gift cards NEVER EXPIRE and can be used for both products or service. Purchase one today and load them in-store or with a field technician.